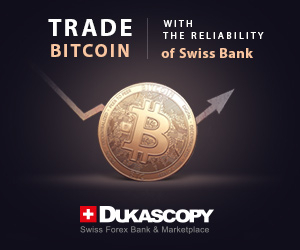 This broker has a very big advantage over the others – here you can trade from a phone or a tablet. I often trade with these devices when I go from work / to work. The site is adapted for all devices. This makes the service less stressful and more profitable. The conditions are the same as elsewhere. Nothing special. The difference is that there’s no commission for depositing or withdrawal of money. I’m completely satisfied with the broker. The most important thing in the reliability of investment brokers is their ability to pay. I decided to test them. I deposited and immediately withdrew 10 bucks. The money came the next day. I trade on currency pairs, and more specifically on yuan / dollar and euro / dollar. It’s a bit boring, so I decided to switch to more risky assets – cryptocurrency. What it will be like is not clear yet . Many people begin to scold their brokers after failing in trading. They forget that any broker doesn’t guarantee success, but only provides a platform for trading. 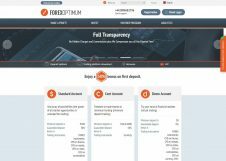 I can definitely say that Forex Optimum is a good platform. Convenient trading platform, narrow spreads, fast orders execution. Everything’s clear, understandable and open. And the rest depends on you and on the market. Funds withdrawal is done quickly as well (if there’s anything to withdraw). It’s a fine broker. The only thing I can’t figure out is bonuses using terms. If you are dealing with crypt and want to use it (and this is especially relevant now, when bitcoin falls), it makes sense to use ForexOptimum. This broker has a cryptocurrency account and you can deposit it directly with crypt without unnecessary exchangers with huge commissions. I’ve not seen such an account at other forex brokers’, although many of them have crypt. And you can trade with any assets for crypt on Optimum. The min. deposit is 1 μBTC there, which is quite few. I would suggest the broker making special bonuses for owners of crypto accounts. I’ve started trading on Forex Optimum on a cent account. The min. deposit is only $10 and this account is only for currency pairs. And I’ve switched to a standard account with $300 min. deposit long ago. I’m satisfied with this broker’s trading terms. Spreads are floating, but narrow. The leverage is fine, even for crypt it’s 1:500. I’m thinking about investing in lamm service, but I haven’t yet fully understood the details. Well, you will understand completely only when you try it. I don’t like that the bonuses terms are not clear. They’re not in plain sight on the website, but maybe I have to look better. I’ve started trading with this broker not so long ago. My first withdrawal was bigger than the initial sum. The money transferal was really fast..T be honest, it was a nice surprise. I feel comfortable trading here. Cool platform, it really works without lagging, and that’s very important, you understand, every millisecond counts. Withdrawal here arrive without any delays, I’ve checked many times. The broker withdraws profit ontime. I will attach a screenshot to my review with my account history on forex optimum. their conditions are normal, nothing out of the ordinary. you can trade binary options here, which is great, sometimes i buy options. but the main thing about the broker is it’s reliability, withdrawals that are ontime are a good piece of evidence. I can’t say that my first encounter with brokers was a good one, there have been problems with deposit refilling, but it’s good that the broker has a good support and helped me sort things out, it turned out I had indicated the wrong payment information… once I got the deposit refill straightened out, I started trading and that’s when I discovered the broker for myself, fast order execution, low spreads were a pleasant surprise, so the broker definately gets my respect. This broker is the best from all that I’ve tried. Their trading conditions and percent adds to your deposit for nothing just make so happy. This is very cool! No other broker has such feature! Also I want to point out that they cash out fast, really fast! This broker is excellent! No problems with payment, which is very important according to common opinion. I also like the trading conditions they provide. I’ve started with a StartUP account, and now have moved to a real trading one. If it’s gonna be ok further, I’ll open a VIP account. Good execution. Spread little bit high but everything is the same like in many companies. Wish you good luck!